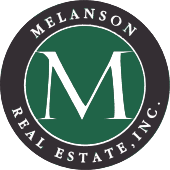 Meredith NH Homes for Sale | Melanson Real Estate, Inc. Located in Belknap County and nestled between Laconia and Center Harbor, Meredith is home to the annual Great Rotary Fishing Derby. Held every winter, it's a great way to enjoy ice fishing on the one of the many lakes in NH. Meredith offers 39.9 square miles of land and 14.3 square miles of waterfront, on Lake Winnipesaukee, Lake Waukewan, Pemigewasset Lake and Wicwas Lake. Whether you are looking for a year round, lakeside home or seasonal cottage, parcel of land or commercial building, let us help you find the right property. Feel free to contact us for more information & to set up a showing. Register with us to save your favorite listings and get updates when similar properties are posted.